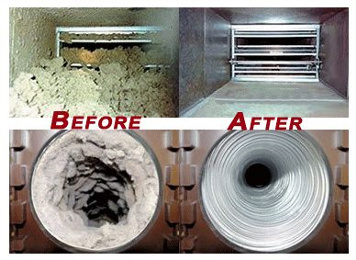 Homepros group air duct cleaning and dryer vent cleaning services Brampton On. For fast response on air duct cleaning in Brampton call us. Brampton is known not only as one of the most populated group of cities in Ontario but also for its 4 seasons. This is why most residences and commercial buildings have an HVAC system installed that needs proper care. But, most people tend to ignore air duct and dryer vent cleaning which can pose numerous issues in the long run both to their health and the system’s. Furthermore, having a dirty or clogged air duct and dryer vent can bring along many issues such as water damage, more expensive electrical bills, fire risk, health hazard and even damage to your clothing dryer. For these reasons alone you should consider hiring professional cleaning service. Thankfully, this is where Homepros Air Duct Cleaning Mississauga comes in. Homepros Brampton provides top quality air duct, dryer vent and crawl space cleaning services to all of its Brampton clients. Thanks to years of experience in air duct cleaning and other related services our people can certainly address any of your duct cleaning problems. Besides, since it is a job that requires professional knowledge it is also advisable that you don’t do it yourself. For a free estimate on duct cleaning, ask for Christopher. SANITIZING AND DEODORIZING Brampton Ontario Canada.